Andy is a Sotheby’s International Realty Canada realtor with an outstanding track record of success over a multitude of realty disciplines since 1993. What differentiates Andy from other options is the service he provides beyond the sale of your home. His sincerity will be the first thing you notice upon meeting him, as this is the hallmark of Andy’s business approach. Combine this with the professionalism and attention to detail Andy exudes, and you can rest assured that at every point his first consideration is what will best serve the sale of your home. Andy’s affable demeanor and unabated work ethic have done wonders to ingratiate him in Victoria’s real estate community and features prominently in his is ability to close deals of all price points. His love for the arts and entertainment has served Andy well in carrying out his passion for connecting people to the community. As a result of these qualities, Andy is at the forefront of everything real estate. Part of that means being a regular outlet for the media. This is something Andy has been doing more of than anyone recently, as he is sought after for his insightful quotes and having some of Victoria’s most alluring listings. Regardless of what your needs are, Andy is your first choice for an unparalleled experience and a proven history of performance. As part of Andy’s realty strategy, he has assembled a team of associates to best carry out every aspect of selling your home. Be it the presentation of your home and events or generating maximum exposure through the marketing of your listing, Andy has found associates with the specific skill sets necessary to best serve the different aspects of selling a home. Along with these added resources, Andy maintains a strong liaison with his network of agents in the national and global markets. By utilizing this, Andy is able to ensure that his listings attract interested eyes from all parts of the world, not just locally. 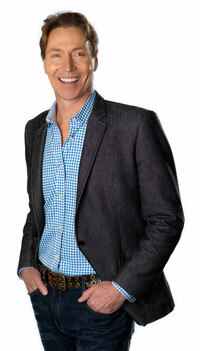 His extensive networking also allows Andy to facilitate the possibility of relocating or buying investment and vacation properties in different locations. Being a great listener, Andy is always cognizant of making clients feel comfortable and understood. With Andy’s diplomacy and sensitivity to the special circumstances of clients, everything he does works to consolidate the trust that is felt when first meeting him. This extends beyond the clients as well; Andy’s warm and engaging manner creates an environment for agents, legal counsel, accountants, contractors and other parties that naturally leads itself to smooth and successful transactions. Andy is a creative type, and this is undoubtedly one of his best assets as a realtor. In this competitive market, it is important that you find a way to separate yourself from all the other listings. With Andy, his fearless outside the box thinking brings exactly that to the table, as he is willing to pioneer different realty formats in Victoria and craft complex deals in order to best maximize the value of a sale. Every home is unique, and in recognizing this, the first thing Andy and his team works on is strategizing how to best go about presenting and selling a new listing. When working with Andy, there is no stock formula. Instead, a sales plan is tailored to the specific demands of each listing, a method that has garnered tremendous success. A descendant of Stephensons Estate & Auction operating in York since 1871, and also having his father as one of Canada’s longest licensed agents, Andy has been provided with a stewardship and mentorship to which he will always be grateful for. Having grown up in this atmosphere, Andy has been given a solid foundation to provide consistent results in a fast paced environment. Spending his earlier years as a junior talent agent with the Ruth Webb Agency in Los Angeles, Andy has been afforded invaluable knowledge of the geography and culture of the area. This has now all come full circle with the connections he has made at the Los Angeles and Palm Springs Sotheby’s International Realty offices, making him a valuable asset for anyone considering a Southern California property. Moreover, with his far-reaching resources and realty connections, no matter where you may consider moving, Andy can ensure that you are paired with a realtor who exemplifies the standards and practices he holds himself to. Andy brings a long-standing and diverse skill set to the world of real estate. His spirited interest in community and its culture means that Andy is helping his clientele to not only buy and sell houses, but rather connecting them with a home and lifestyle that allows them to flourish in their community. It’s a different experience when working with Andy, one marked by paramount professional and a personable relationship.